Fred S. Caltabiano began employment with Bowman & Company LLP on March 7, 2001, and became a Partner on July 1, 2016. A 1995 graduate of Woodstown High School, Fred attended Gloucester County College and graduated in 1998. 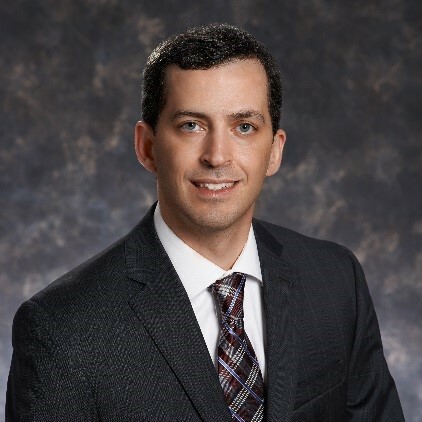 Fred then attended Rowan University and graduated in 2000 with a Bachelor of Science in Business Administration with a specialization in Accounting. Fred is licensed as a Certified Public Accountant, Registered Municipal Accountant, Public School Accountant, Certified Fraud Examiner, and Certified Municipal Finance Officer. Fred’s areas of expertise include audits of municipal and county governments, school districts, county colleges, student financial aid, fire districts, federal and state grants, and non-profit organizations. Fred is a member of the New Jersey Society of Certified Public Accountants, American Institute of Certified Public Accountants, Association of Certified Fraud Examiners, and the New Jersey Registered Municipal Accountants’ Association. Currently, Fred resides in West Deptford Township with his wife Heather and their two children.